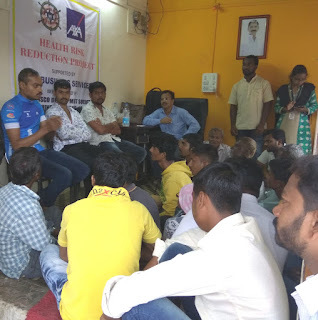 Chinchwad (Pune), 20-September-2018: The Don Bosco Development Society (DBDS), Chinchwad organized a special session on road safety. 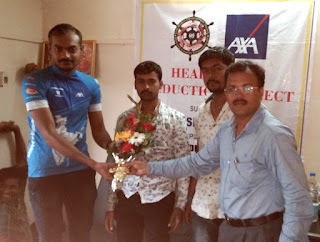 The cyclist Mr. Vivek Shrinivas Lokur, who is cycling from Srinagar to Kanyakumari was the Chief Guest for this session held under the aegis of ‘Health Risk Reduction’ project supported by AXA Business Services. 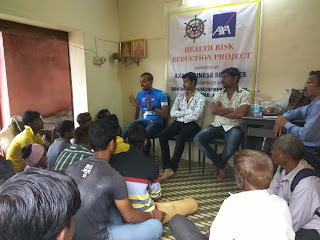 Mr. Vivek interacted with youth and spoke about road safety and risky habit of consuming tobacco products. 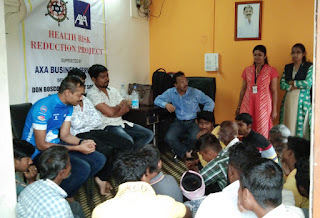 He also inspired youth to think big in life and obtain best education and choose career of their choice. 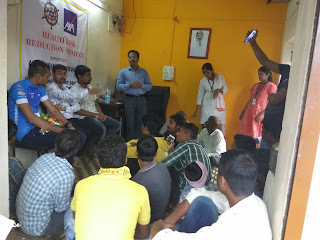 Dr. Narayan Jaybhay (Govt. Hospital) was the second resource person. 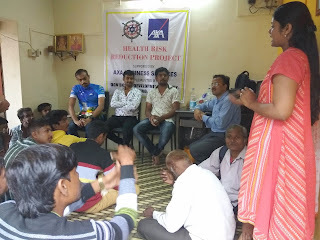 Dr. Jaybhay covered various topics on composition of tobacco, forms of tobacco, harmful effects on body and mind, oral cancer, lung cancer and many more health problems associated with it. 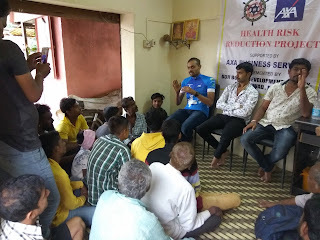 Participants asked many questions which were all answered by him. 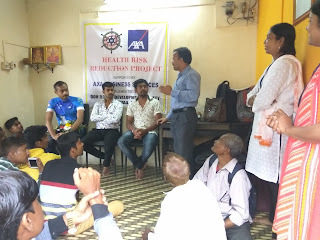 Mrs. Sarika Kadam and Mr. Arjun Sharnagate (both DBDS Staff) did the logistical arrangement for this session and organized youth to participate in this session. After the session snacks were served to all.